Eons ago, glaciers deposited stones throughout the land, without any intent. 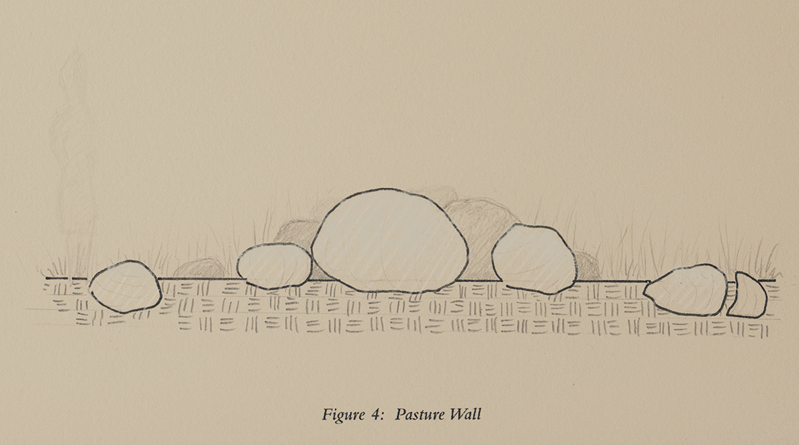 with more than no intent but less than a lot, farmers in New England began to organize these rocks into strips, piled high. 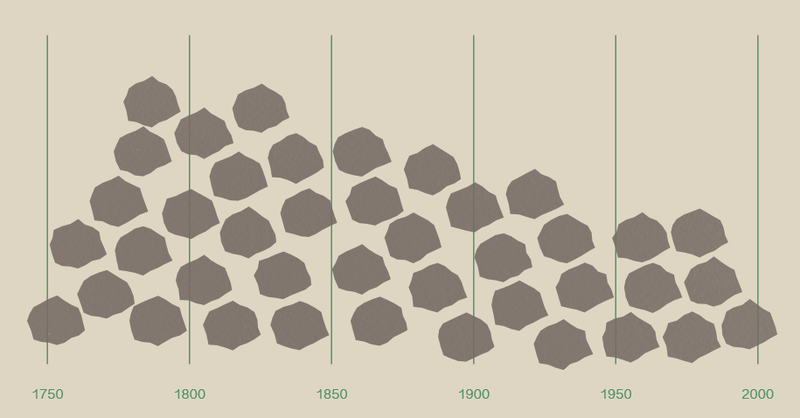 Although it’s been 200 years since stone-wall building peaked in the early 1800s, an estimated 100,000 miles of stone walls still stand as an understated testament to a complex land-use history. To the trained eye, a wall is a document. 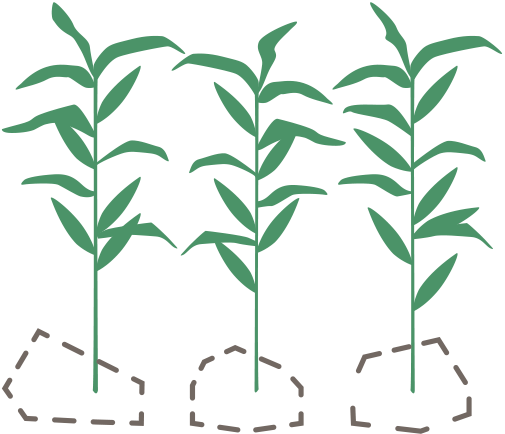 Farming is about land and soil, growing and cycles. But there is an architecture to agriculture. There might be a barn, or a silo, built according to a plan, with a vision in mind. Then there’s the stone wall, a reordering of a glacier’s work, an editing of its record. Through agricultural stone walls, we travel time and grow in size. We become the glacier, and give it heretofore unknown focus. No longer the lumbering, crawling mammoth, we are an architect and farmer at once. To those who look, the seemingly random scattering of stones starts to take shape, and we recognize distinct patterns. 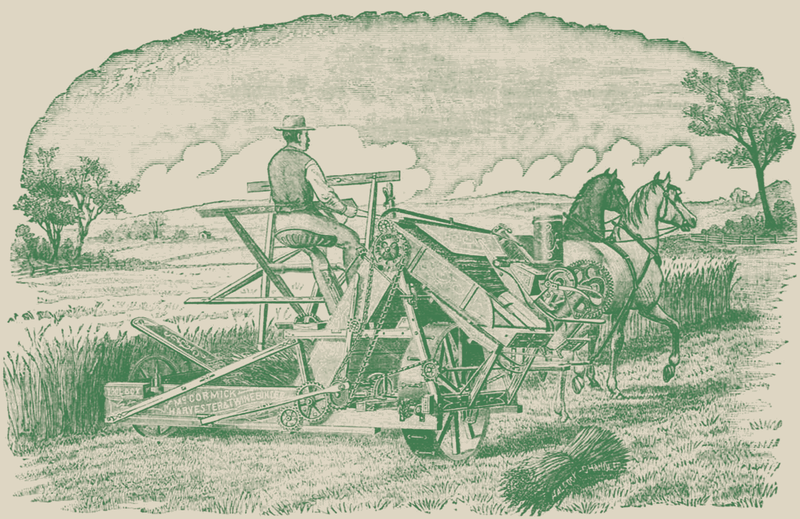 As fields were cleared for tilling, stone walls were literally tossed into existence, one stone at a time, at the edge of an agricultural field, sometimes creating its edge. 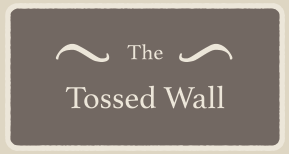 The form of a tossed wall is loose, and wider than it is tall. 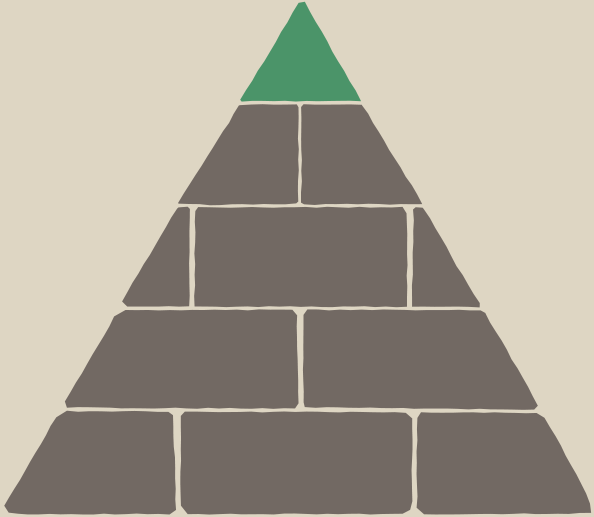 The builder’s goal was to discard the stone. Stacking it up was unnecessary. A puddle formed by bailing a boat. The crops carry on, no rocks, no stones, no obstacles to their roots. The shape of some granite’s absence isn’t felt by a stalk of corn. 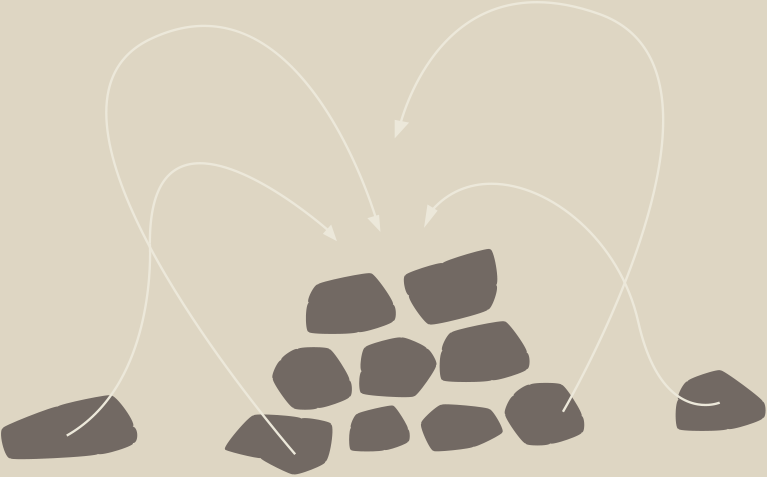 As the stones migrate, that absence in one place becomes a new presence in another. 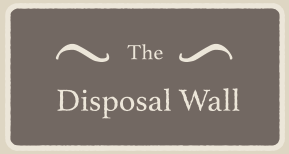 Sometimes a Tossed Wall would get cleaned up, tidied. Clean stacks, not jumbled piles. As the plants grow, so do the types of walls. 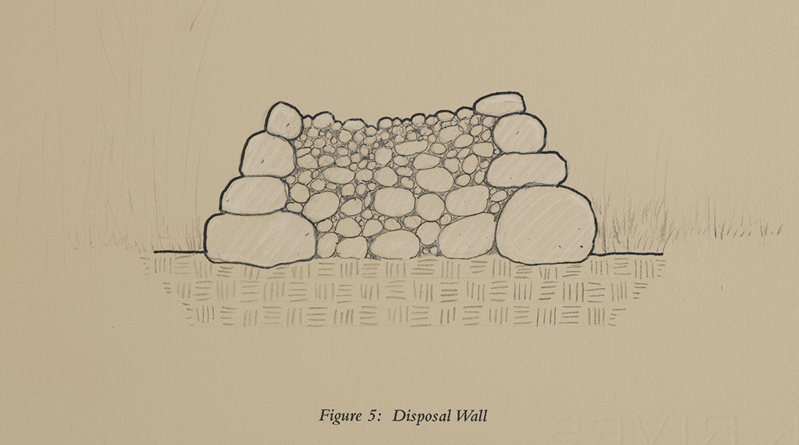 A Disposal Wall is more formal than a Tossed Wall, a double band of stones laid in place, with a gap between them in which to collect smaller stones, rubble, and earth not destined for display. It’s a wall with walls. There’s a progression towards a more intentional boundary, as the puddle becomes a pond. 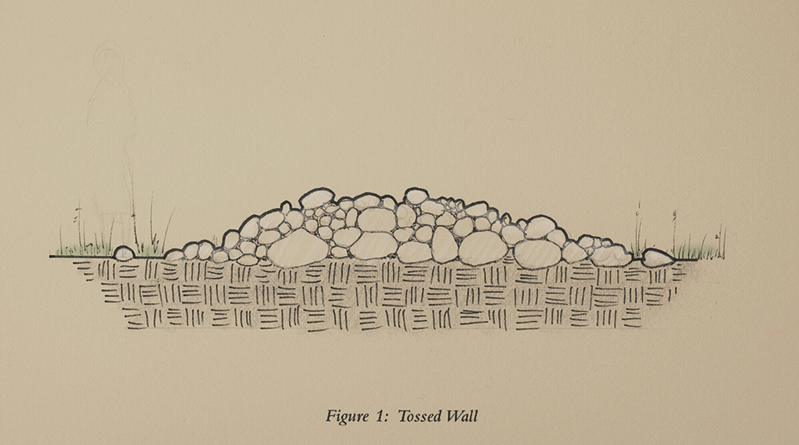 If The Tossed Wall was a sketch, this is a drawing. In the hierarchy of stone walls, the Pasture Wall is a lake, a painting. Part of a system. 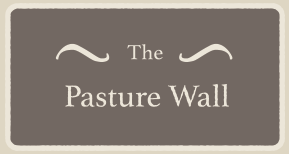 The Pasture Wall was built to contain livestock, that other essential part of the architecture of growing. Keeping property from roaming. The wood that had once given this wall its shape and height is long rotted away, easing the large stones into each other. Just as the crops don’t wonder where the stones went, the stones care not for the timber. They’re home now. 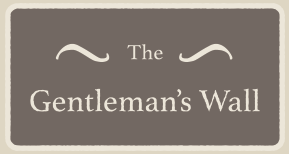 The Gentleman’s Wall is designed to be read. 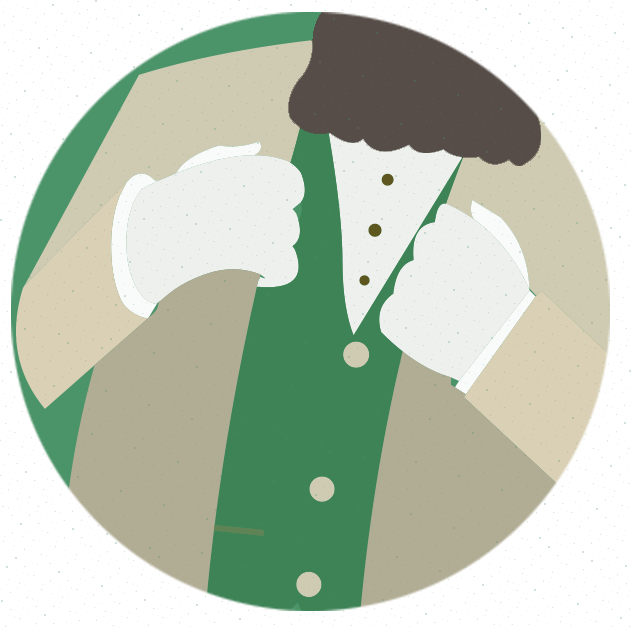 It communicates pride, order, and wealth by means of craftsmanship. It is a sculpture of intent. The wall’s tight one-over-two construction, consistent batter, and capstone were of significant expense and beyond the reach of most New England farmers. 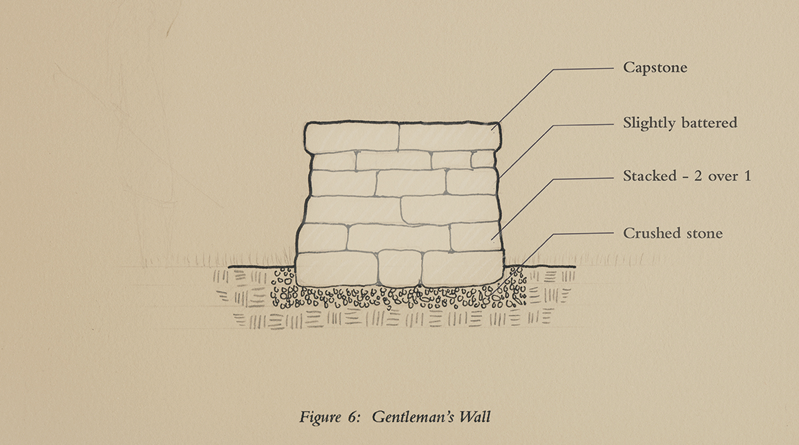 With a foundation of crushed stone, the Gentleman’s Wall announces its intention as it shows its supreme position with a physical illustration of hierarchy. Most of these stones – more than a billion years old – led a simple life until the last few hundred years. Now that we’ve given them new purposes, and new forms to match, we’ll never see them the same way again. David Buckley Borden is a multi-disciplinary artist and formally trained landscape architect whose work presents environmental issues to new audiences in unlikely settings. 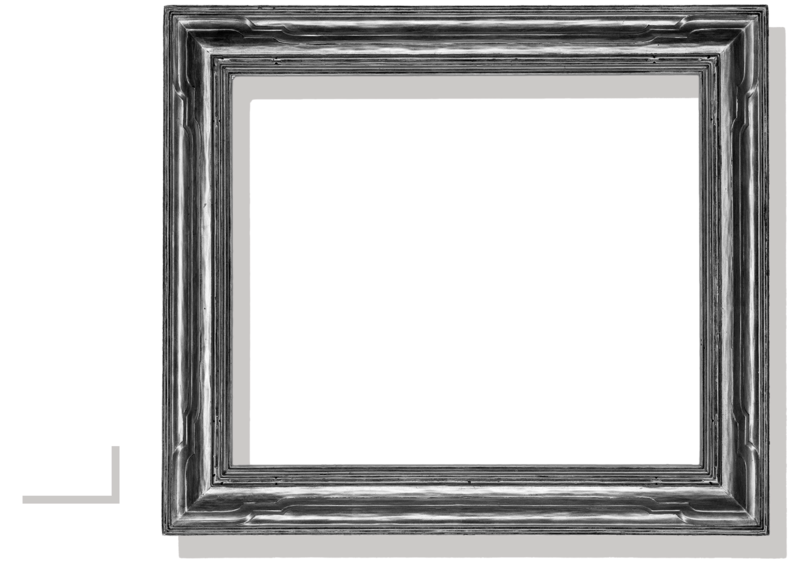 Borden’s work ranges from site-specific landscape installations to small format silkscreen prints.